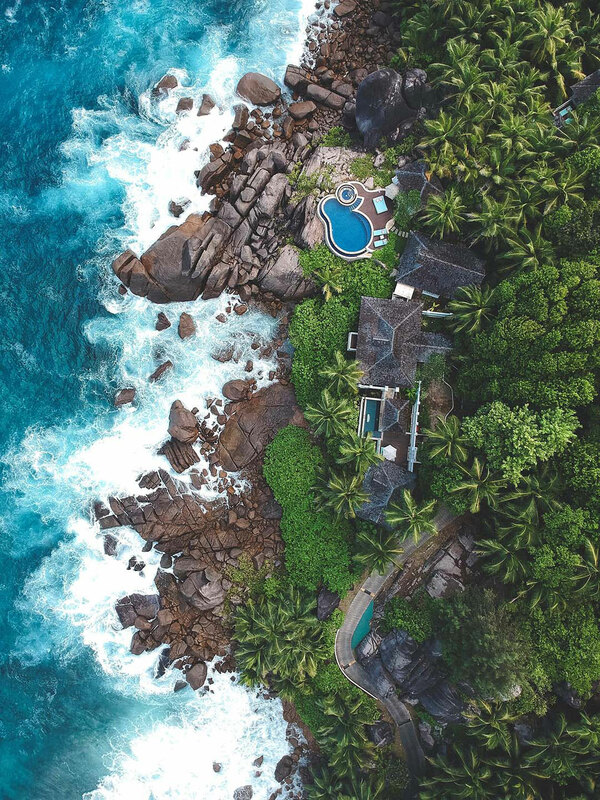 Be charmed into this exquisite slice of coastal life, where lush palms and tropical forests bloom and glorious beach abound. 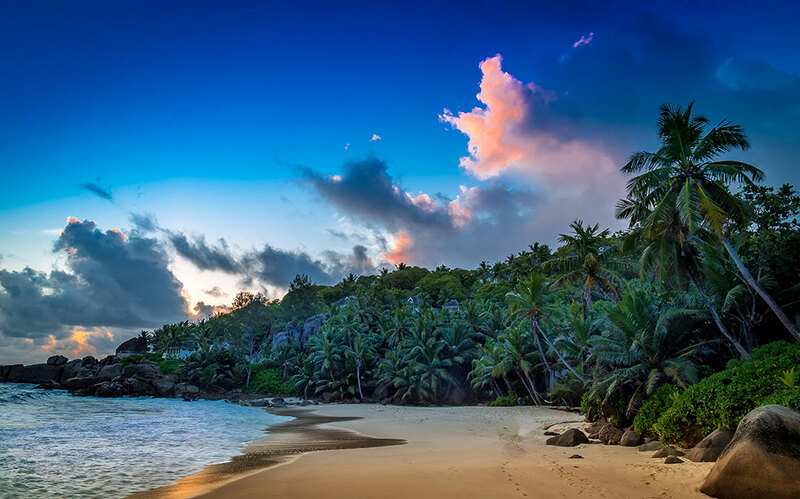 Enjoy the untouched and unspoiled beauty of Seychelles. 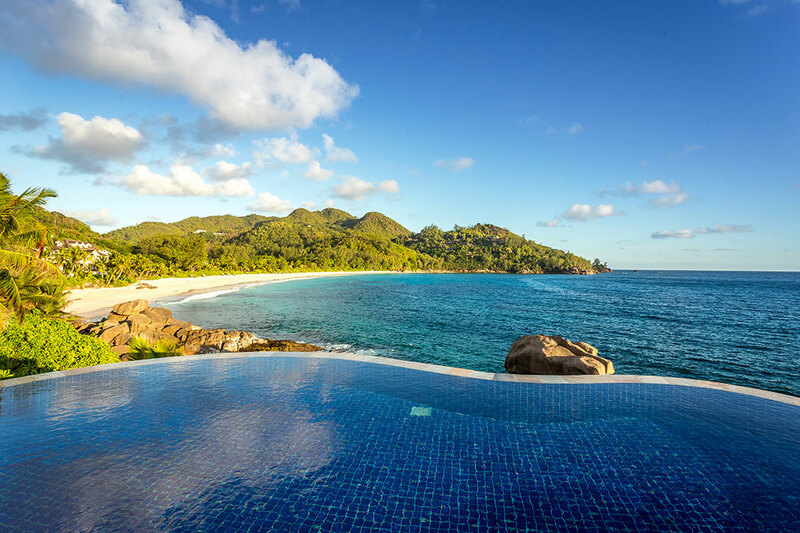 With spectacular views of the Indian Ocean and native Takamaka trees, Banyan Tree Seychelles is nestled in Intendance Bay, a destination marked for bliss. 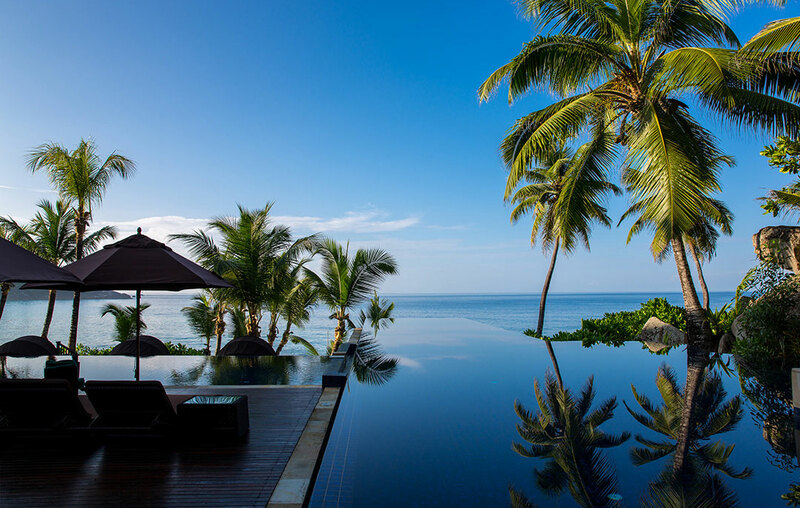 Take a walk along the beguiling Intendance Bay or soak up archipelago charm within your Creole-style pool villa. 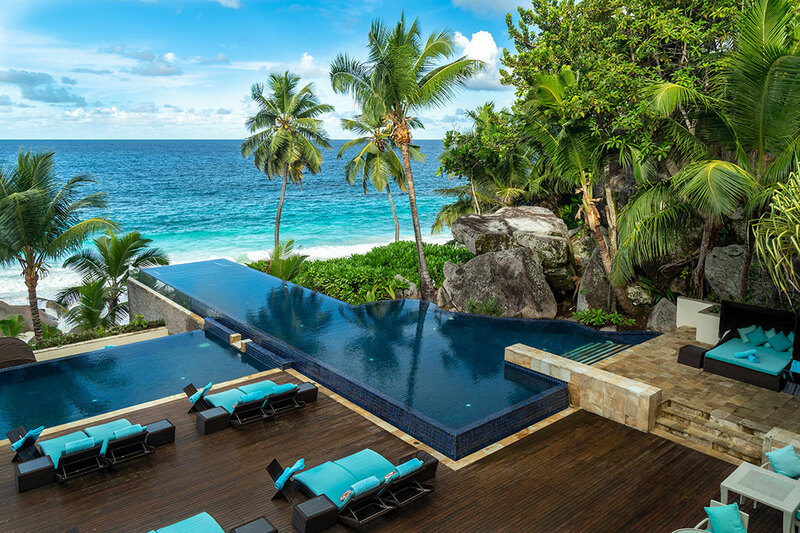 Banyan Tree Seychelles offers an intimate collection of 60 one- or two-bedroom villas, each with its own private pool. 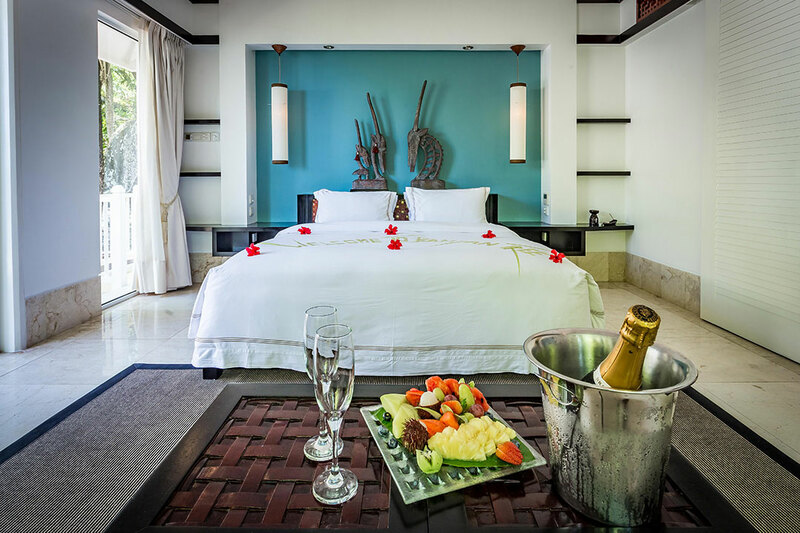 - The resort boasts all the facilities necessary for a thoroughly enjoyable vacation. 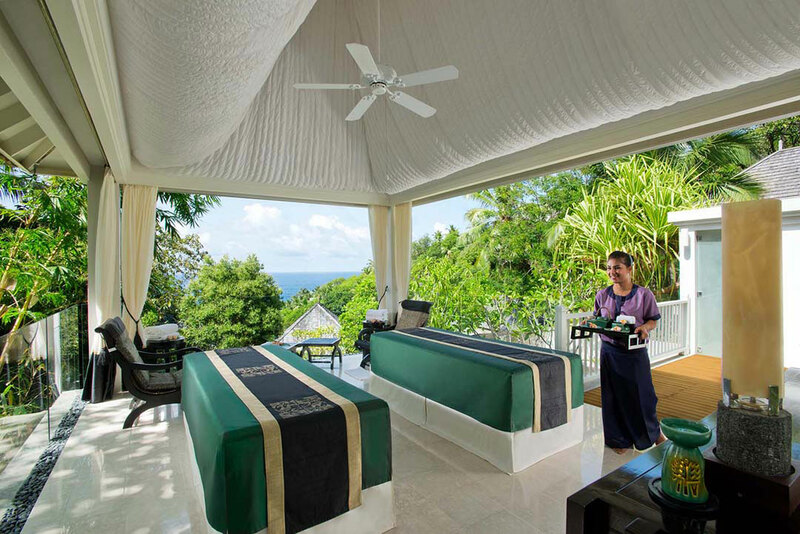 Rates per villa per night, based on single/double occupancy, inclusive daily breakfast, 15% government tax and 10% service charge. 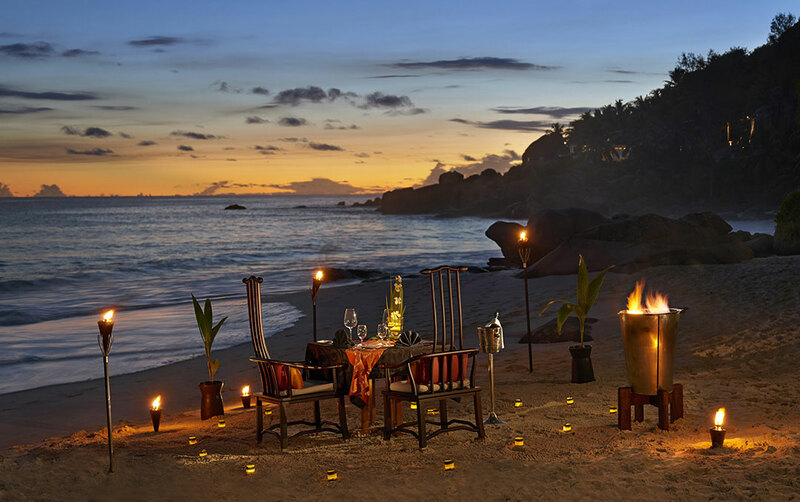 A la carte half board rates on request. 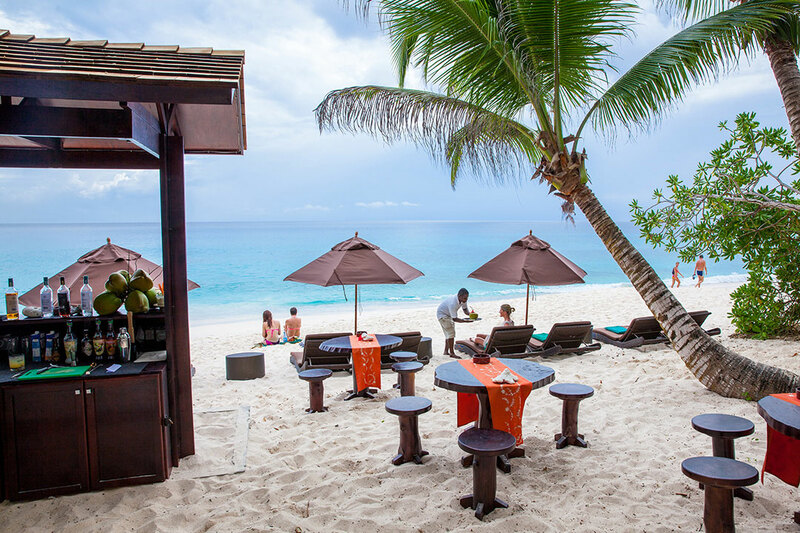 Wedding Packages - Several packages for your wedding in paradise, from 2 199,00 Euro per package (details of the different packages upon request). 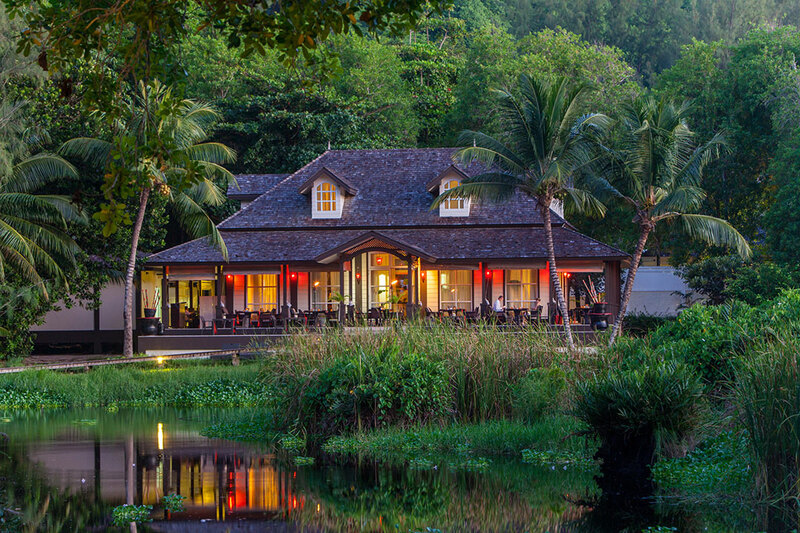 Saffron : signature restaurant of the Banyan Tree for a culinary discovery Thai refined. 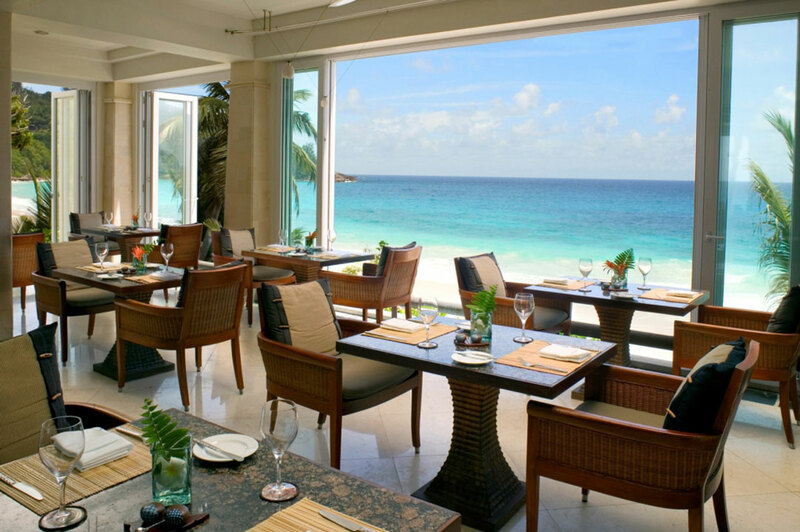 Au Jardin d'Epices : main restaurant open ocean, with its wine cellar. 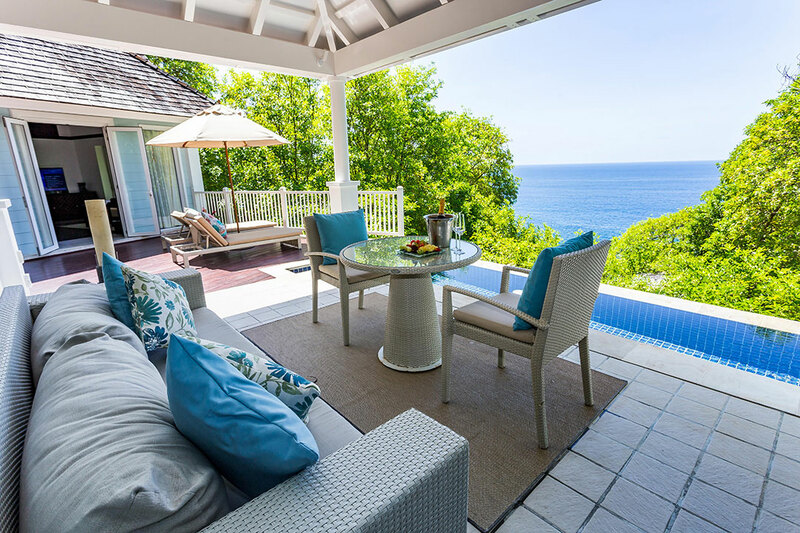 Chez Lamar : creole restaurant set on a colonial house with an al fresco wooden verandah surrounded by the melody of tumbling ocean waters. Varangue Bar : to relax and be carried away by a magical view on the Varangue to the old style. 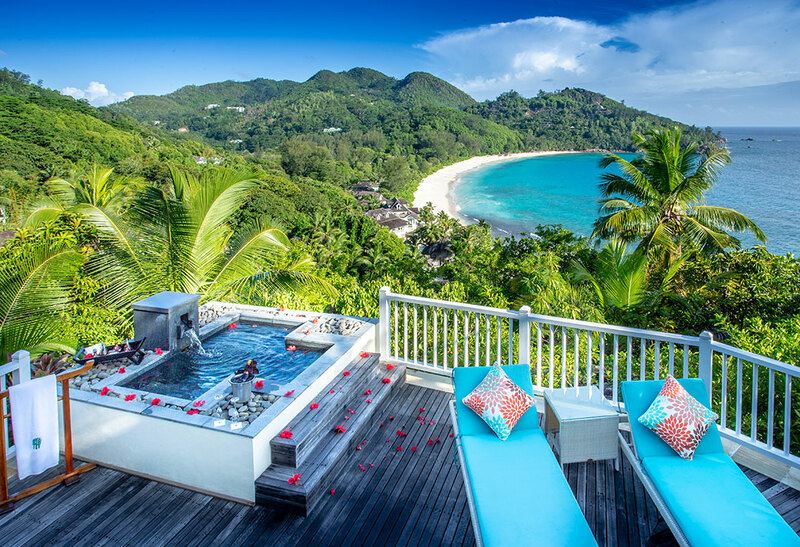 The tropical calm of the Seychelles beckons to your every sense in a place offering the best of treatments and therapies to recharge your body, soul and spirit. 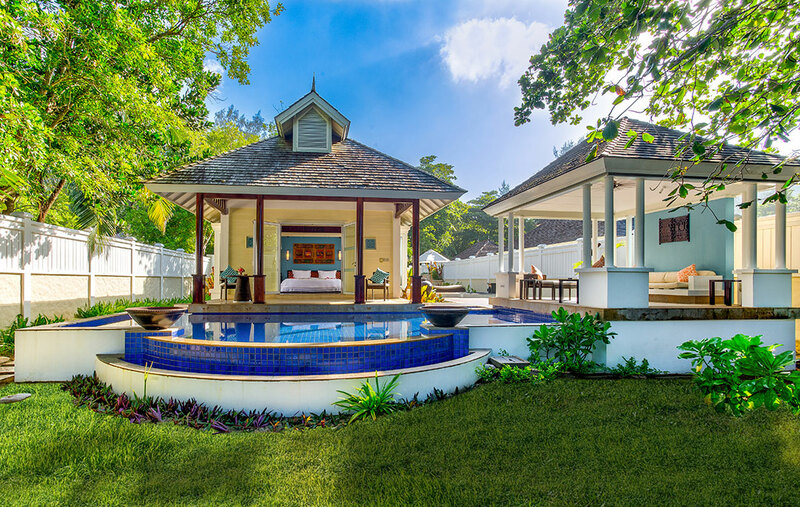 In the beauty of Creole surrounds, seasoned therapists will soothe your heart and body through hands that knead away every stress. Local indigenous ingredients are compressed into perfect poultices to draw all tension out from your body as you repose in perfect rest.